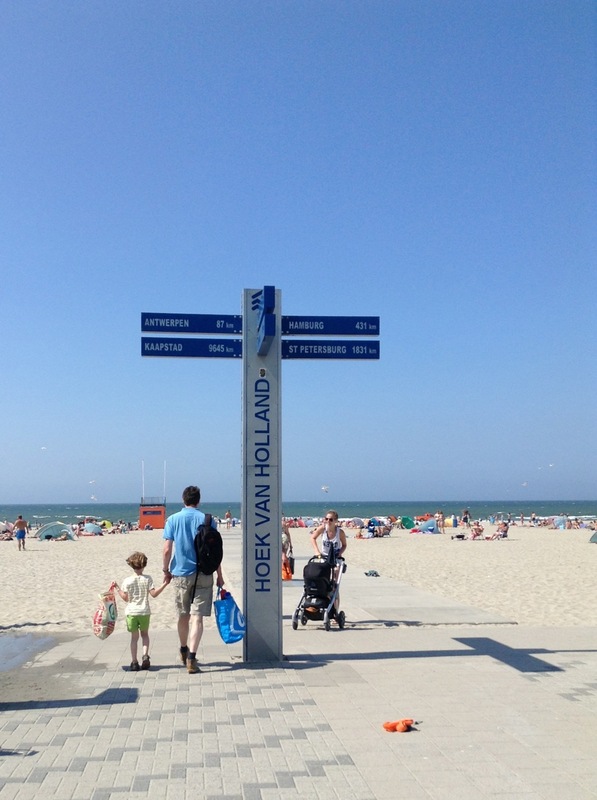 It takes about 30 minutes to travel by train from the centre of Rotterdam to the beach at Hoek van Holland. It’s not a trip I make very often… as a matter of fact, today was the first visit there since moving to Rotterdam! 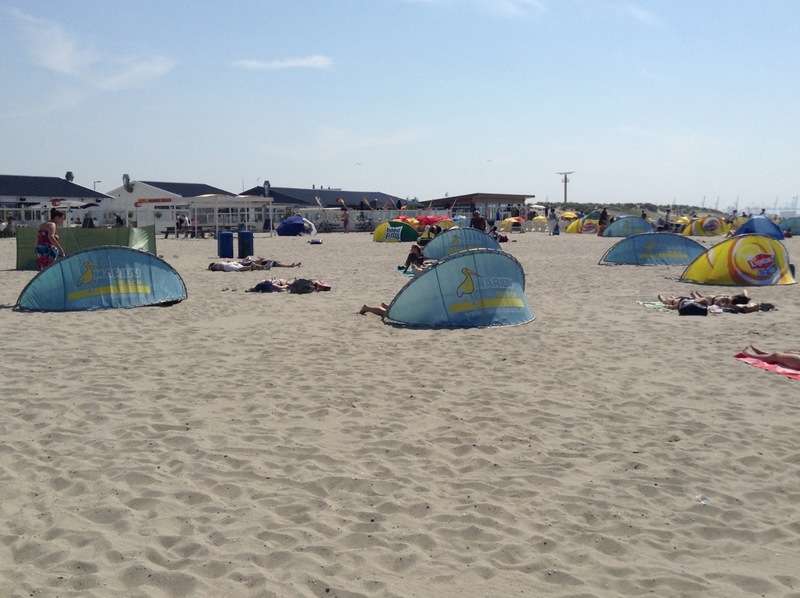 As usual, there was a strong wind coming off the sea and at the busy end of the beach people were enjoying the sunshine protected by wind shelters. I didn’t actually investigate how the shelters stay anchored to the ground. 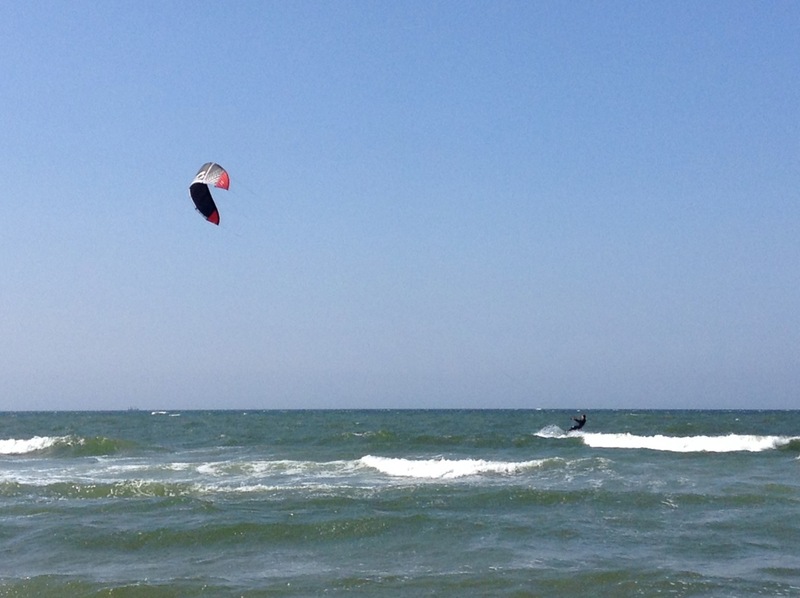 Here’s someone making the most of the wind. 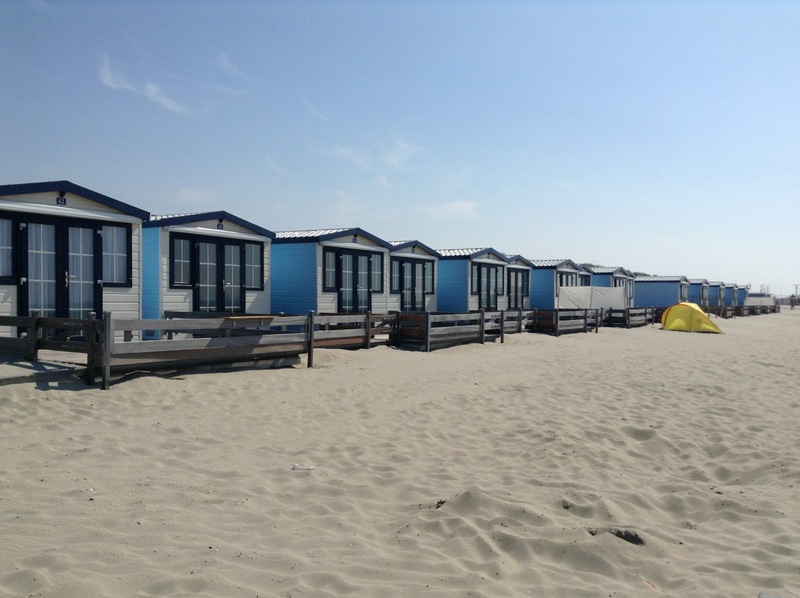 A few of these beach huts are on the market for about 65,000 euros. That tidy sum buys you 36 square meters, half of which is a hardwood sun deck, a small kitchen, shower and toilet, a small bedroom, solar panels, and a ten-year warranty on materials. And a view of the sea. Also, a pretty good look at the neighbours. 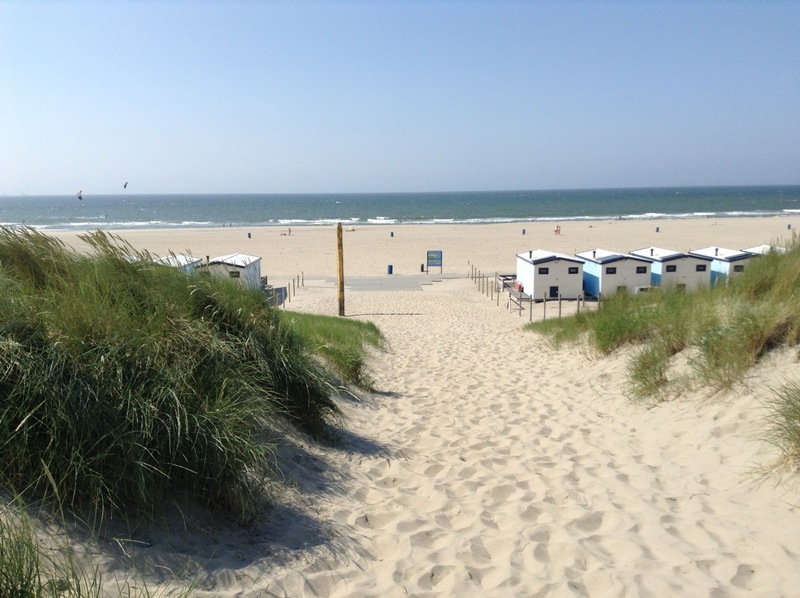 The picturesque approach to the beach from the dunes. The water was surprisingly pleasant and cool on the feet, but no swimming for me, just a walk along the beach and across the dunes where the wild roses were in bloom and filled the air with their scent. Well, I have always wanted a house with a view of the sea for my retirement. It is just that view of the neighbours that worries me. Too close for comfort, isn’t it. On the other hand, I doubt anyone would be there from September to May. There must be better places though. Förstod det och sedan målades fönsterkarmar eller hur? thanks for the nice day at the beach, Lis-Brit.